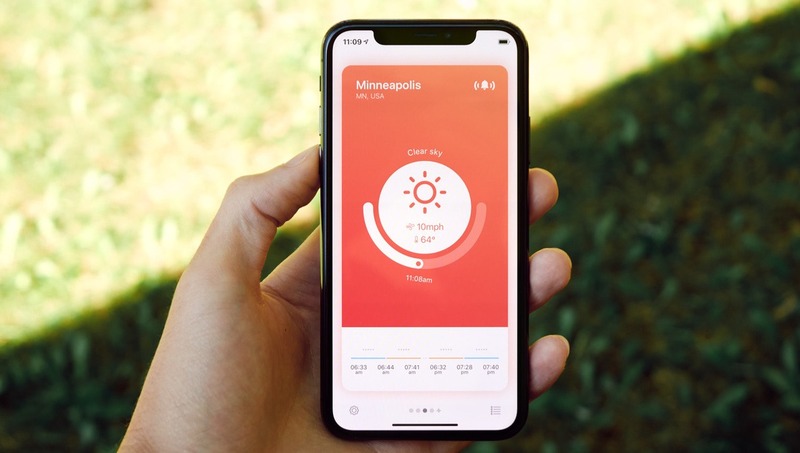 At its heart, WeatherScout is a notification app for when the weather in an area matches the inputted preferences for an optimal shooting situation. 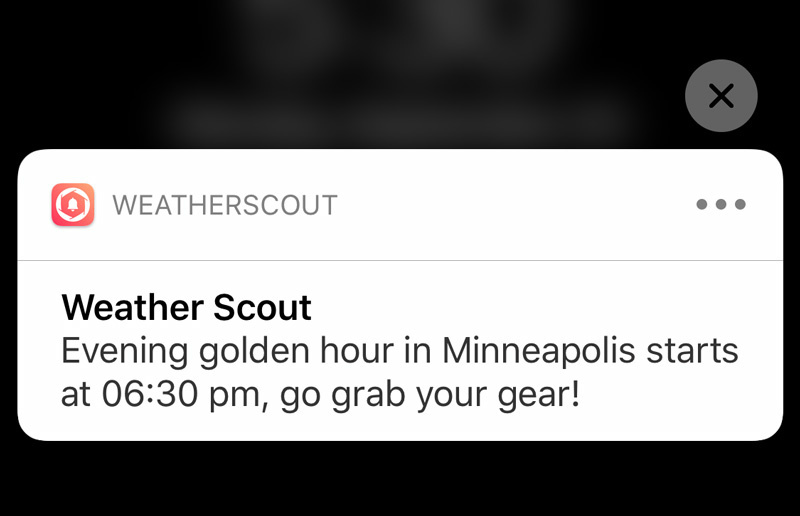 These notifications can be configured to go off before either sunrise or sunset, and an option to shoot for the golden hour or blue hour. There are four preset options for the alarm times: 30 minutes, 1 hour, 1 hour and 30 minutes, or 2 hours before the start of your chosen shooting preference. 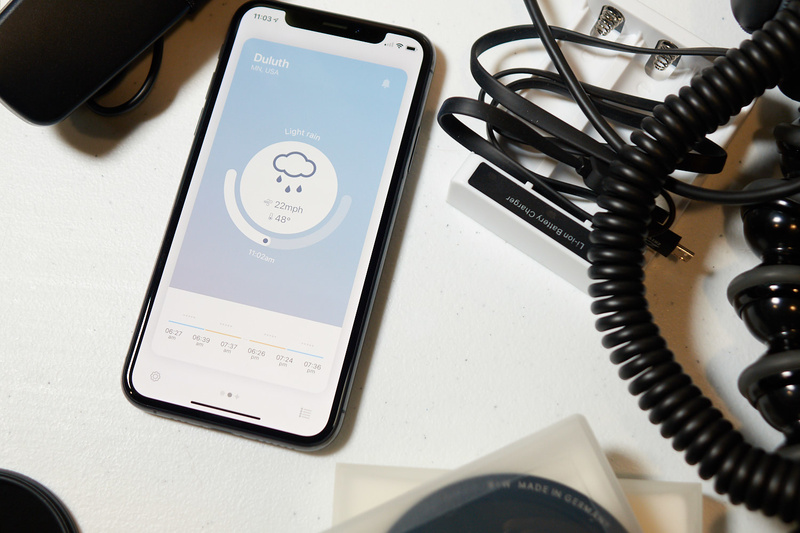 Where WeatherScout differs from a more basic alarm clock is that it can also be triggered or automatically disabled based on the weather conditions outside. There are toggles for conditions such as sunny, partly cloudy, cloudy, mist, or rain. Additionally, maximum wind speed allowed for an alarm to be triggered can be set to 12 mph, 19 mph, or 31 mph. So for example, if you only want to be notified when the sunrise golden hour will be partly cloudy with under 12 mph of wind, you can set it that way and not be disturbed if the criteria isn't matched perfectly. Notification preferences and app settings. WeatherScout allows users to add in multiple cities so that one can be alerted for different areas. If you know a location where a still lake reflection photo would look amazing at sunrise, you can have a specific alarm tailored for that. But if that shot is a no-go, you may have a backup location entered in that matches your shooting preference. 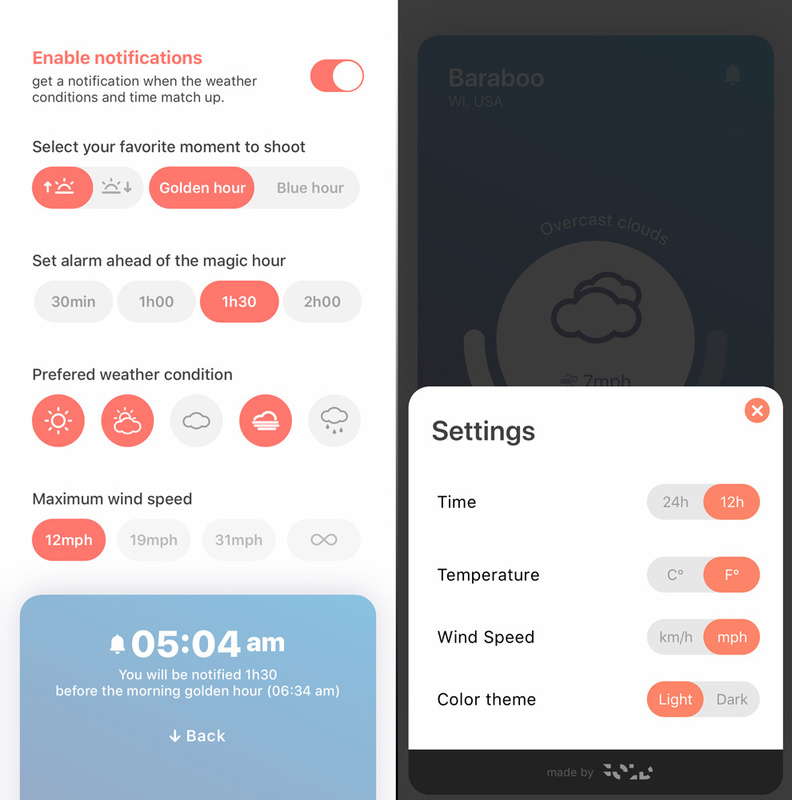 App-related settings include the ability to change from a 24 hour clock to a 12 hour clock, temperature and wind speed units, and an option to enable dark mode. Weather icons never show at the bottom of a city overview (left), instead always displaying dots. 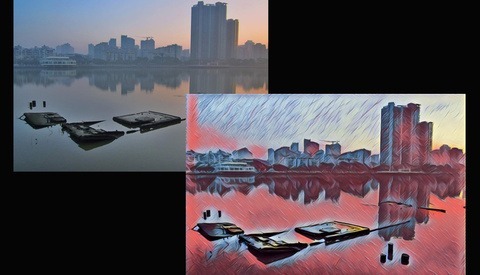 The city list (right) can manage multiple locations for unique notifications, but it can't be reordered. Detailed today view and the next day's detailed weather. 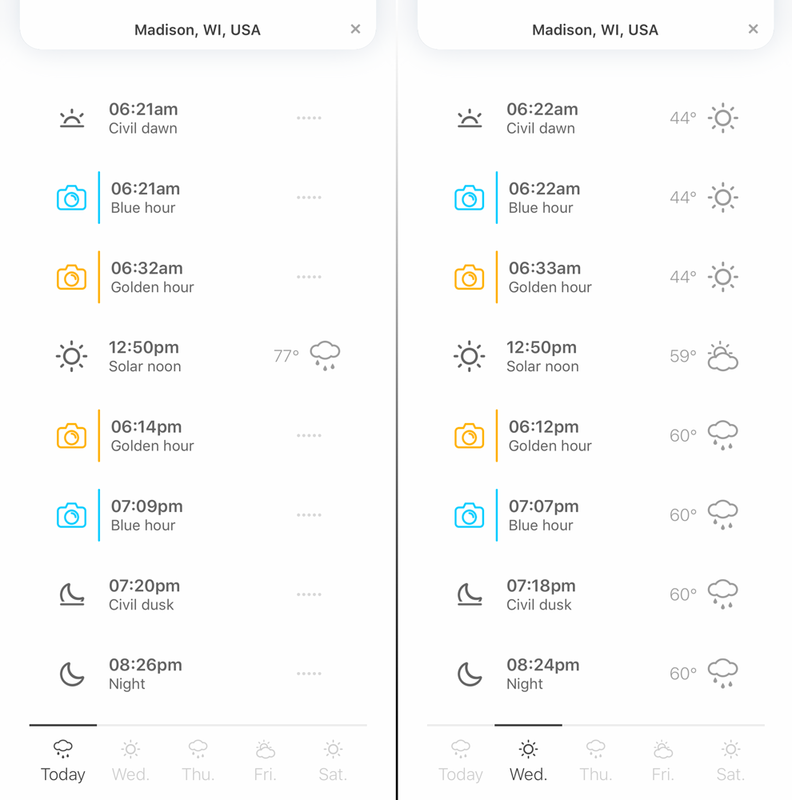 Weather icons and temperatures never show up on the today view besides solar noon once in a while. The app clearly uses a clean, minimal design language where color gradients and icons play a large role in communicating with the user. 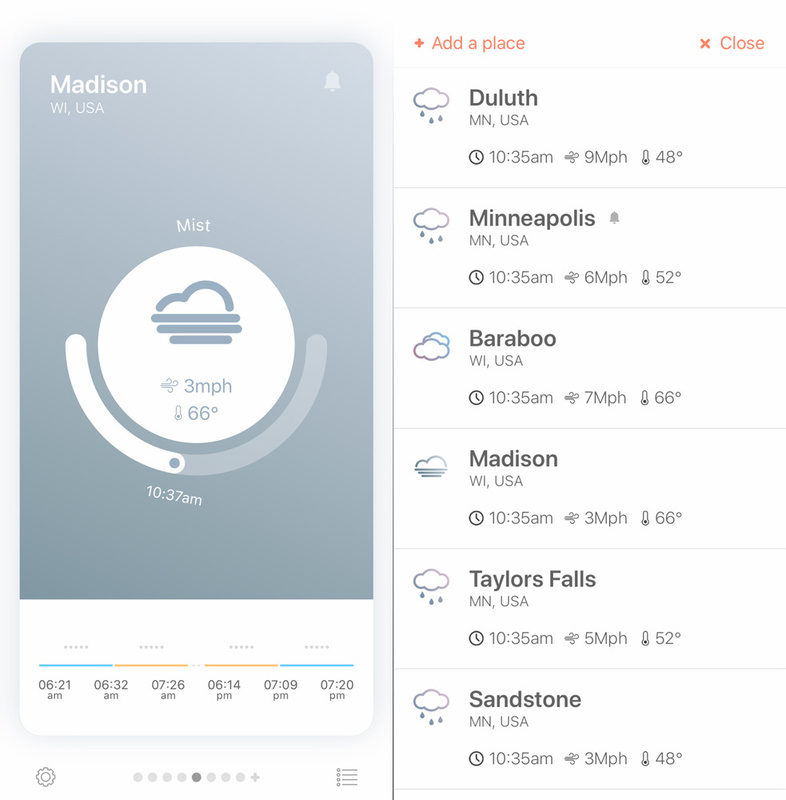 The core idea of WeatherScout is not something I had considered before, and it's kind of one of those "you didn't know you needed it until you heard of it" things. Getting the alerts, namely for the sunrise shoots (you can usually just look out a window while you're awake before the sunset shoots), can be a blessing when you have a specific image in mind you want to get. WeatherScout has a listening developer. I reported a bug, next thing you know an update was available and it was gone. A couple of weeks ago, the app only had a 24 hour clock and I whined about it to them. Today, I now have the option of a 12 hour clock. In my experience, the developer is ready to listen to any problems the user faces and keep them in mind for future updates. One of the larger drawbacks to the minimalistic app design is that there is a lack of precise customization with the notifications. 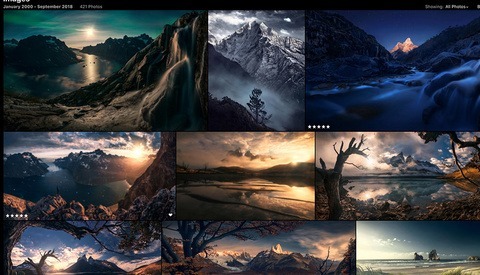 I can't select both sunrise and sunset, or blue hour and golden hour at one location. I can't manually enter in my own maximum wind speed or alarm time, and instead have to select from the given options. There is a loss of functionality for the sake of simplicity — form over function — that I don't particularly agree with. On a similar note, the notification alarm sound can not be changed. Right now it's a grating guitar tune that makes me want to throw my phone against the wall when I hear it (I still haven't decided if that makes it a good alarm or a bad one). Just give me a simple beeping alarm clock noise. In my city, the current temperatures, and especially the wind speeds, can be fairly inaccurate. This isn't squarely to blame on the the app, as it obviously pulls an actual weather service's data to get its information. The rest of my complaints all deal with the app's lack of polish; today's weather always displays dots instead of a forecast making it useless, sometimes notifications don't work at all even when the conditions are a match, inability to reorder the city list, and there's a really annoying 5-second-long splash screen at every open of the app which always beings me back to the main screen, making it a pain to hop in and out of the app to multitask. In conclusion, WeatherScout is founded on a promising idea that I can get behind. However, in its current state it lacks customization and it's not ready for my blind trust in waking me up when the conditions are a match. The good news is that I can easily see the app continue to improve in its functionality as I know the developer believes in it as well by quickly addressing issues they hear from customers. WeatherScout costs $3.99 and is currently available for iOS on the App Store. Disappointed with the lack of Android support. 88% of phones are android nowadays, what gives? I get that iOS is easier to develop apps with, but damn. And I was just about to go download it smh. Cool idea, but that article leaves me with some questions. Where does it pull it's weather data from? Does it work outside of the USA? And most important, what are you experiences regarding accuracy? I use an App called SkyCandy that gives a rating to sunrise/sunset beauty. But unless it gives you a value below 10% or above 75% everything can happen. And this is the case for 2/3 of sunsets. App "Clear Outside" is another good one. It breaks down the % of cloud coverage. The kicker is they break down the clouds by low, mid, or high within the atmosphere. For me having 30% coverage with the High Clouds. Produce the best clouds for sunrise and sunset. Its also free. Is that only on Android? I couldn't find it on iOS. I found some others that had promise though, and divided the clouds into three layers, which I had never thought about previously. Thanks. Turns out when I couldn't find the wrong one, I did a search and found this. It's outstanding! Thanks again for the clarification. 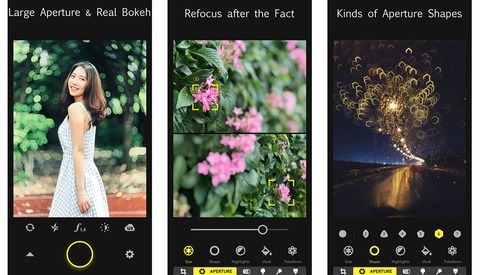 I love this app idea, thanks for sharing! I actually contacted a local iOS developer about 6 months back with this exact idea. The developer didn’t think it had any future and people wouldn’t be interested in it. Needless to say I think he was wrong and thankfully I didn’t invest any money in it, seeing as this app would have beaten us to the punch! Mist/fog...would be nice if this had additional triggers, so say visibility below a certain amount. Cloud cover. If you’re using Darkskysdk you can (I believe) specify high, middle and low percentages. Useful for killer sunsets. Alarm needs to be perhaps upto 12 hours in advance. In the uk sunrise can be as early as 3.30am. Speaking of alarms.... perhaps days I’m advance would be good too. I realise accuracy of forecast would be weaker. But good to have some kind of advanced warning, even if it’s less accurate.